At the end of the year, your practice is scrambling to fit patients into your schedule, provide quality care, and maximize profits from insurance claims. Unfortunately, the claims lifecycle can be unpredictable, which can cause claims to pile up during your busiest times. Your practice is already using a clearinghouse solution for your claims management, but if your optometric billing manager can’t keep up with the claims, you might be missing a large part of your potential revenue. When your practice encounters an increase of insurance claims that you can’t effectively process using your existing resources, you have to bring in additional billing resources to supplement your team. This post provides a few options to help you earn more money, faster from your insurance claims. If your billing manager is under pressure to complete claims before the timely filing deadline passes, and you think you’ll need to have two full-time billers on staff moving forward, then hiring new talent to work with your current biller can help you complete your claims and work rejections. However, there may be times where you don’t have enough work for two in-house billing managers, causing a waste of resources. During seasonal spikes in patient traffic, your biller may not be able to process and work as many insurance claims as they had during other parts of the year. 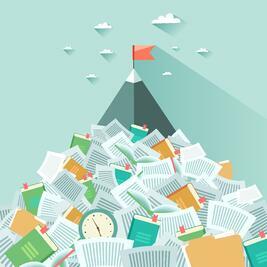 While hiring additional, in-house talent may help you keep up with your claims management, the workload may soon wane, causing a waste of resources that could have been better used to grow your practice. With a billing service provider (often referred to as Revenue Cycle Management) your practice can scale up your claims management to handle seasonal traffic. The RCM service is staffed with a team of experts who handle both medical and vision claims so your staff can focus on patient care. To discover how your optometric practice can scale your claims management with a billing service, click the button below to learn more about RCM!